~What to expect from me this semester ~ This semester in English 015-03 we are to complete the following assignments: the Year in Review assignment, the Narrative assignment, the Cultural Artifact assignment, and the Image Analysis assignment. The Year in Review is an essay that is about a variety of different topics for our year. My year that I am focusing on is 1969. I plan on discussing the following topics: historical events, natural disasters, television shows that were popular, clothing trends, sports, new technologies, and my Grandmother’s experiences from an interview that I conducted with her. The Narrative assignment is suppose to include a script about an event that happened in 1969 and also a pod cast that we are to record based on our script. 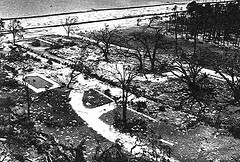 My narrative is about the natural disaster Hurricane Camille that happened in Mississippi. The Cultural Artifact has to be something that was new and represents our year and says something about it. I chose the Docuteller ATM to be my artifact. We also must include questions that people may have about our artifact and pictures as well. The Image Analysis is to analysis a specific movie or show from our year. 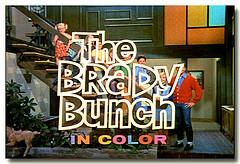 I chose to analysis the new hit television show “The Brady Bunch.” I plan to explain analysis the race, class, gender, and age group of this television show. The following download file is my plan that I have written for my Semester Plan.